Just as you swap out your tank tops and shorts for sweaters and jeans, fall is also a great time to rethink your crystals. 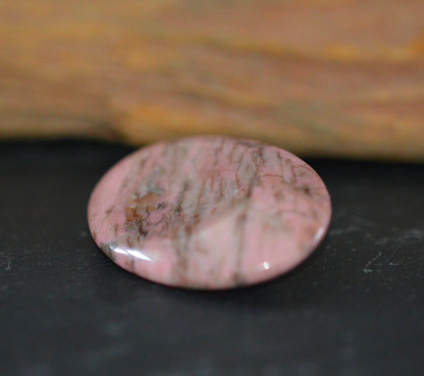 Whether you carry them with you, meditate with them, or are just beginning to consider buying some for yourself, some crystals are particularly suited to different seasons. For example, great crystals for summer may be ones that encourage your innate sociability; while fall crystals can help you go inward, find comfort in cold, dark nights, and facilitate deeper bonds with the people you love. Once you find a few crystals you like, consider bathing them on the next full moon on October 5, 2017. How do you “bathe” crystals? Just put them in a wooden bowl under the moonlight. Once you’ve cleansed them, consider placing them where you’ll see them every day, like by your computer or on the windowsill. Or carry them with you, holding them when you need an extra dose of inspiration. Smooth and shiny, labradorite is ideal for helping you get in touch with your innate psychic abilities. 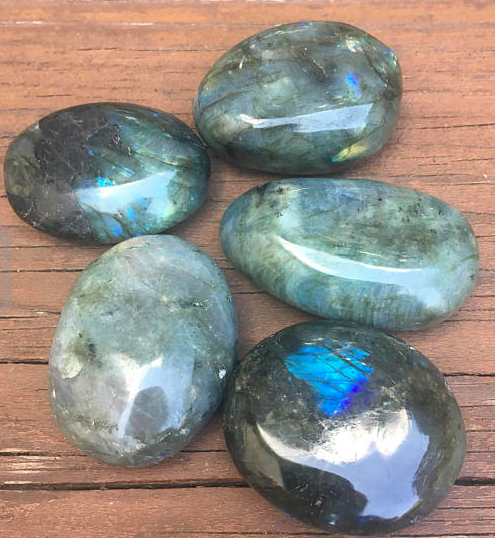 Labradorite helps you tune deep to yourself, and can even connect you with past lives. It can also shield your own energy, which is especially useful if you’re dealing with critical bosses or relatives. 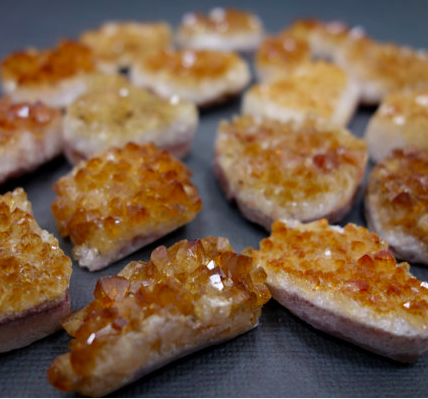 This sunny yellow crystal is affiliated with the solar plexus chakra, which can keep you feeling good during the cool months, when you may not be as active—and may be tempted by comfort food. The sunny color is energizing and optimistic; it’s a great crystal to help you remember the carefree days of summer and give you a glass-half-full perspective on the world. 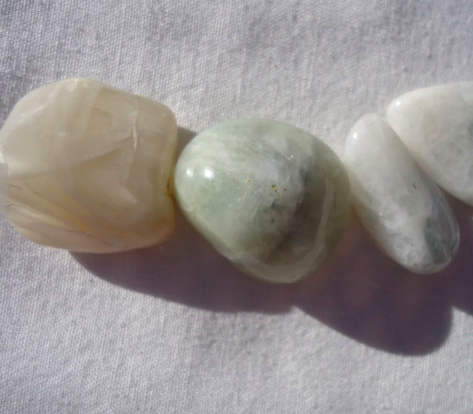 This complex crystal is affiliated with the heart chakra, giving you more energy to open your heart to others. The pinkish browns simulate both the colors of the earth and the colors of sunset, helping to ground and inspire you. 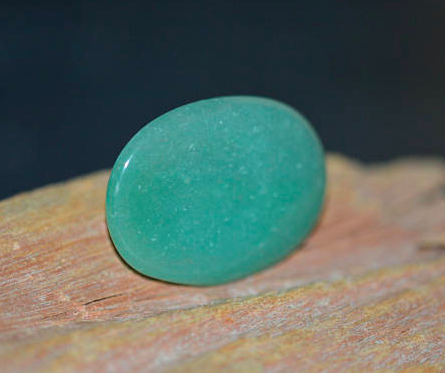 Activating and protecting the heart chakra, aventurine is the ideal crystal to both protect your heart and help you heal and find love. It’s also a great general well-being stone, ideal for when those fall colds and cold-weather blues are going around. Feature photo courtesy of Energy Muse.